In this guide, I will attempt to describe how the economy system works in general, as well as how to play it best for optimal profits. The economy system can seem a little chaotic at first, with many products and selling stations, resulting in a lot of numbers displayed on-screen. Unfortunately, FS19 does not provide any information of what a "good selling price" is for a product, making it an even bigger challenge for inexperienced players to make a qualified decision. This guide is an attempt to explain the system behind the prices and to give you a general idea how the system behaves on a more sbstract level. Ultimately, I will try to provide some tips on how and when to sell your products for optimal profit, regardless of difficulty level and the type of product you choose to go for. This guide is currently a work in progress. Additional ideas, data and corrections are welcome. 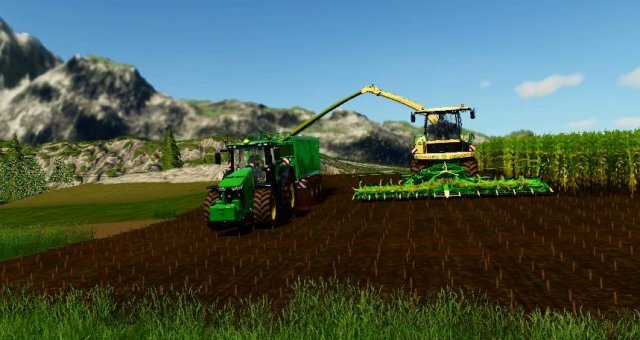 Farming Simulator 19 comes with an economy system based on fixed prices for each product, with certain algorithms and game mechanics that affect how the current prices are calculated at a given time. Base price - Each product has a fixed base price. Suppply and demand - When you sell something, the price for that product will generally drop after some time, at least at the selling station you sold it to. The price will usually regenarate by itself over time. Dynamic fluctuation - Prices will fluctuate somewhat randomly as time passes, indicated by the up/down arrows next to the price. This can be interpreted as an attempt to simulate the supply/demand aspect being affected by other (invisible) farmers. Great Demands - Usually once per day, for a random duration ranging from several hours up to a few days, a random product wil get a fixed price boost at a random selling station. The base price is a fixed value, internally called "pricePerLiter", which can be found inside the file \data\maps\maps_fillTypes.xml. The values are valid for all maps and selling stations, and may be adjusted by Giants with upcoming patches for balancing purposes. As an example, prior to 1.2, oats used to be vastly inferior as a cash crop. Its pricePerLiter value has been significanty buffed since. The price drop due to supply and demand, directly after selling, can be easily negated by setting the time facor to 1 and selling all of the product at once, when the price is high. The price will usually not start to drop before you can sell everything. This is known to have behaved differently at game launch and might change again with future patches. Dynamic fluctuation can be a huge factor when it comes to determining current prices. In most cases, this will even overshadow Great Demand bonuses for products that are available at multiple stations, because the Great Demand is only actrive at a single station. Currently, the meta seems to be waiting for dynamic fluctuation to provide the best possible prices and then sell a large portion of a given product at once. Currenty, the problem with Great Demands is that, due to how the dynamic fluctuation works, you will rarely get an advantage out of them. Most of the time, the product that gets boosted will have a lower price than the same prodct at another station, without Great Demand bonus, but with a good "fluctuation bonus". This is because the Great Demand bonuses sadly are not any better than the positive fluctiations, that can be observed on a regular basis. 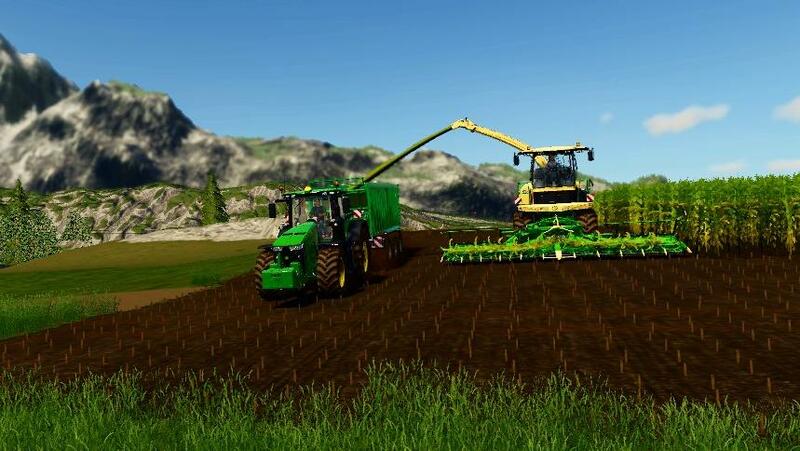 Having said that, the future three Great Demands are generated in advance and can be viewed inside economy.xml in the save game folder (usually Dcuments\My Games\FarmingSimulator2019\savegameX). The file is pretty self-explanatory. There are some exceptions: At the Biogas Plant, for example, prices are always fixed. Now, from my own observations, I have seen that through dynamic fluctiation alone, prices can get as high as 142% of these average values, probably up to a maximum of 150%. This leads to a feeling of what a "good selling price" might be. Personally, I would never sell a product at a price below 130% of the average price. However, this comes down to personal preference of course. How much you want to optimize your profits will affect how much time you will spend watching the price table. Sometimes, it is also better to sell some of your stock at a less optimal price to close the funding gap for the next investment. Finally, here is a table illustrating my personal "minimum sell prices" for these products, by using the 130% multiplier on the average price. I consider these my personal "green prices" for FS19. Back in FS15, the in-game price numbers used to actually turn green in color when they surpassed a certain threshold (and turn red when they dropped below a certain point), which sure saved me a lot of alt-tabbing.